‘I lost my car keys ’ is a phrase we hope you never have to utter. No matter how careful we’re being, though, there’s always a chance we could lose our car keys or misplace them. Getting new replacements cut can be a trial – you have to get in touch with your car dealer to initiate proceedings. Your dealer will then ask for your details and a significant amount of money from you before they go about programming new keys for your car. It can take a lot of time and money to get a key from them. Is there another option? Yes, there is! You can get new keys made from Oak Park Lock And Key instead. Oak Park Lock And Key is a professional automotive locksmith that has been helping vehicle owners with all their locksmithing needs for a decade, now. 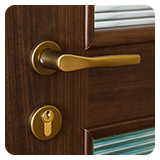 We can craft high-quality replacements in a short span of time 24/7 in all areas of Oak Park, IL. What’s more, we don’t charge as much as the dealership does. I’ve lost my keys, what do I do? We get a lot of calls from panicked customers asking our customer care representatives “I lost my car keys , can you help?” If you’ve lost your keys, don’t panic – our experts will craft you new replacements in a short span of time. All you have to do is pick up the phone (or your smartphone) and contact us. Just explain the situation to our operator and we’ll send a team nearest your location over to you quickly. What kind of keys can I get from you? Standard keys: These are rare these days and are used by older vehicles, crafter during the early 1990s and earlier. Remotes: We can make remotes. We can program a brand new remote to work with your vehicle. 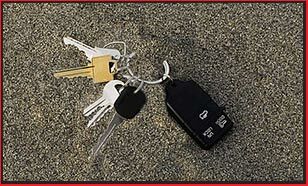 Smart keys: Finally, we can also craft a smart or transponder car key. Are you thinking “I lost my car keys in the middle of the night, how will I get out of the trouble?” or something along those lines? 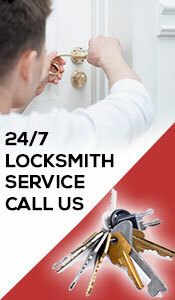 Our automotive locksmiths are available 24/7 – including at midnight or during early morning hours! Call us now on 708-303-9312 !